The Rugby World Cup comes to Gloucestershire this autumn. 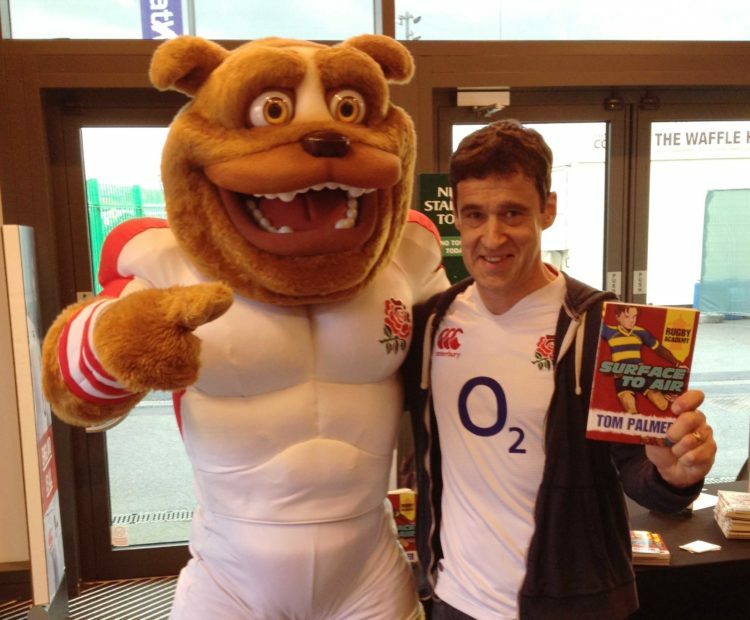 To help celebrate one of the world’s greatest sporting tournaments, Tom Palmer is coming to Gloucester Library on 19th August 10.00 – 12.00pm to showcase the superb sports reading available in our public libraries – England Rugby is proud to present Tom Palmer’s Rugby Reading Game. The Rugby Reading Game is a sports quiz followed by a penalty-kicking competition, with a trophy for the winner. Tom will talk about his popular sports books, including his new Rugby Academy series. It is most appropriate to families with children aged 7-13. After the event, Tom will be joined by a local RFU rugby development officer who will be giving advice to families about how they can get into playing the game of rugby, while Tom will talk to families about rugby, reading and writing. Tickets are available online from: Eventrbrite. Tickets are free but limited!